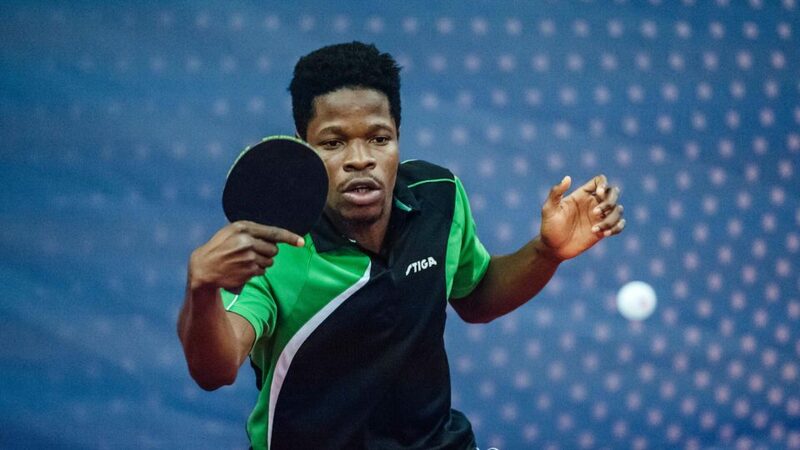 Nigeria is a leading light for Africa in the table tennis event of the 2018 Gold Coast Commonwealth Games in Australia after the West African team breezed to the last 16 of the men’s team event. The second African team in the event – Ghana is one match away from making it to the last 16 following their 0-3 loss to England in their first group match. Despite the absence of Aruna Quadri and Segun Toriola, the trio of Bode Abiodun, Olajide Omotayo and Jamiu Azeez lived up to expectations by topping Group D ahead of Belize and Malaysia. Aside Nigeria, the leading teams all emerged successful on Thursday 5th April in the Men’s Team event. However as top spots were secured, there were nervous moments, especially for Australia and Nigeria. According to ITTF website, Australia beat Scotland by three matches to nil but the score-line does not reflect the nature of the contest; the duel kept the locals on the edges of their seats. Yan Xin gave Australia the ideal start by beating Craig Howieson in a full distance five games duel (11-9, 11-9, 10-12, 11-13, 11-7), a contest in which the Scotsman recovered time and time again. It was the same in the engagement between Heming Hu and Gavin Rumgay. Recovery after recovery, match points saved in the fourth game before eventually Heming Hu prevailed (11-8, 6-11, 11-8, 11-13, 11-8). Two wins by narrow margins, it gave the doubles partnership of Heming Hu and David Powell a cushion; David Powell secure, Heming Hu confident after his singles win, a straight games success was recorded against Craig Howieson and Colin Dalgleish (11-9, 11-7, 11-8, 10-12, 11-6). Nervous moments for Australia, it was the same for Nigeria against Malaysia; no Quadri Aruna nor Segun Toriola in the line-up, the mantle of responsibility fell on the shoulders of Olajide Omotayo, Bode Abiodun and Azeez Jamiu. The Nigerians won the first two matches; Olajide Omotayo beat Chee Feng Leong (13-11, 15-13, 11-7), before Bode Abiodun accounted for Muhammed Ashraf Haiq Muhamad Rizal (11-5, 11-7, 13-11). However, Chee Feng Leong and Javen Choong combined to secure the doubles; they accounted for Azeez Jamiu and Olajide Omotayo (11-4, 11-9, 11-7). Suddenly, there was a degree of pressure on Azeez Jamiu playing in his first Commonwealth Games; he responded, he won but it was tense. He needed the full five games to beat Muhammed Ashraf Haiq Muhamad Rizal (11-7, 9-11, 11.6, 7-11, 11-8). Nervous moments but that was not the situation for India, Canada and England. India beat Northern Ireland by three matches to nil, the same result as secured by England against Guyana and Singapore in opposition to Barbados. The initial phase fixtures conclude on Friday 6th April, while the last 16 matches will take place on same day.